Heysham is a tiny village on the edge of Morecambe Bay, North West England. A nuclear power station and ferry port are two modern points in an otherwise strongly historic place. 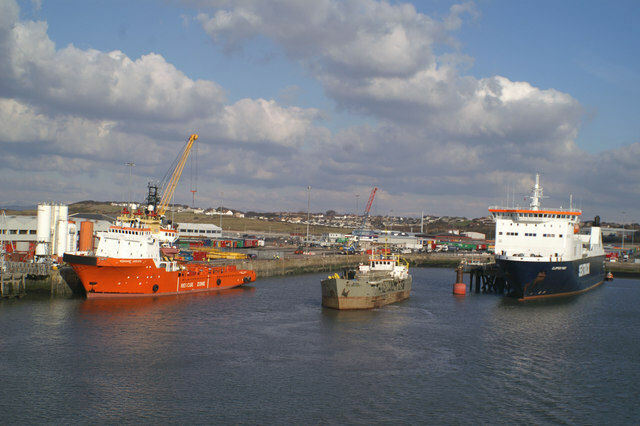 In recent years, Heysham port has been a story of continuing expansion, investment and success. Its ever increasing importance as a port, particularly in relation to trade with Ireland and the Isle of Man, is clearly demonstrated by the spectacular growth in the tonnage that it handles. With 1,000 metres of berths, including three specifically for roll-on roll-off traffic, the Port serves a growing number of daily freight ferry services to Dublin, Belfast and Warrenpoint, as well as two sailings a day to Douglas Isle of Man for both passengers and cargo. The Port also handles a diverse range of general cargo and is a major offshore supply base for one of the largest gas fields in UK waters.